National sovereignty: for what purpose? The defence of national sovereignty, like its critique, leads to serious misunderstandings once one detaches it from the social class content of the the strategy in which it is embedded. The leading social bloc in capitalist societies always conceives sovereignty as a necessary instrument for the promotion of its own interests based on both capitalist exploitation of labour and the consolidation of its international positions. Today, in the globalized neoliberal system (which I prefer to call ordo-liberal, borrowing this excellent term from Bruno Ogent) dominated by financialised monopolies of the imperialist triad (United States, Europe, Japan), the political authorities in charge of the management of the system for the exclusive benefit of the monopolies in question conceive national sovereignty as an instrument enabling them to improve their “competitive” positions in the global system. The economic and social means of the State (submission of work to employer requirements, organisation of unemployment and job insecurity, segmentation of the labour market) and policy interventions (including military interventions) are associated and combined in the pursuit of one sole objective: maximising the volume of rent captured by their “national” monopolies. The ordo-liberal ideological discourse claims to establish an order based solely on the generalised market, where mechanisms are supposed to be self-regulatory and productive of social optimum (which is obviously false), provided that competition is free and transparent (that it never is and can not be in the era of monopolies), as it claims that the state has no role to play beyond the guarantee of the running of the competition in question (which is contrary to facts: it requires the state’s active intervention in its favour; ordo-liberalism is a state policy). This narrative – expression of the ideology of the “liberal virus” – prevents all understanding of the actual functioning of the system as well as the functions the state and national sovereignty fulfill in it. The US gives the example of a decided and continuous practical implementation of sovereignty understood in this “bourgeois” meaning, that is to say today in the service of the capital of financialised monopolies. The “national” right benefits in the United States of its affirmed and reconfirmed supremacy over “international law”. It was the same in the imperialist countries of Europe of the nineteenth and twentieth centuries. Did things change with the construction of the European Union? European discourse claims and legitimates submission of national sovereignty to “European law”, expressed through the decisions of Brussels and the ECB, under the Maastricht and Lisbon treaties. The freedom of choice of voters is itself limited by the apparent supranational requirements of ordo-liberalism. As Ms. Merkel said: “This choice must be compatible with market requirements”; beyond them it loses its legitimacy. However, in counterpoint to this discourse, Germany argues for policies that implement the exercise of its national sovereignty and seeks to submit its European partners to respect its requirements. Germany has used European ordo-liberalism to establish its hegemony, particularly in the euro zone. 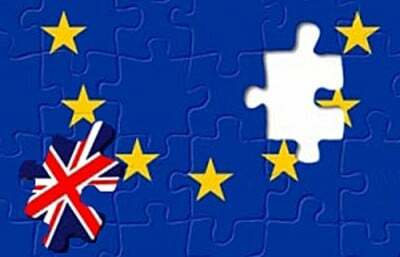 Britain – by its Brexit choice – in turn decided to implement the benefits of exercising its national sovereignty. We can understand then that “nationalist discourse” and the endlessly praised virtues of national sovereignty, understood in this way (bourgeois-capitalist sovereignty) without the class content of the interests that it serves being mentioned, has always been subject to reservations, to put it mildly, from currents of the left in broad meaning, that is to say, all those who have the desire to defend the interests of the working classes. However, let us be wary of reducing the defense of national sovereignty to the simple terms of “bourgeois nationalism”. This defence is as necessary to serve other social interests as the ruling capitalist bloc. It will be closely associated with the deployment of capitalist exit strategies and commitment on the long road to socialism. It is a prerequisite of possible progress in this direction. The reason is that the effective reconsideration of global (and European) ordo-liberalism will never be anything but the product of uneven advances from one country to another, from one moment to another. The global system (and the European subsystem) has never been transformed “from above”, by means of collective decisions of the “international (or “European”) community”. The developments of these systems have never been other than the product of changes imposed within the states that compose them, and what results concerning the evolution of power relations between them. The framework defined by the (“nation”) State remains one in which decisive struggles that transform the world unfold. The peoples of the peripheries of the global system, polarised by nature, have a long experience of this positive nationalism, that is to say anti-imperialist nationalism (expressing the refusal of the imposed world order) and potentially anti-capitalist. I only say this because potentially nationalism may also be carrying the illusion of building a national capitalism managing to “catch up” with the national construction of dominant centres. The nationalism of the peoples of the peripheries is progressive only on this condition: that it be anti-imperialist, breaking with global ordo-liberalism. In counterpoint a “nationalism” (while only apparent) that fits in with globalised ordo-liberalism, and therefore does not affect subordinate positions of the concerned nation in the system, becomes the instrument of the dominant local classes keen to participate in the exploitation of their people and possibly weaker peripheral partner towards which it acts as a “sub-imperialism”. Today advances – audacious or restricted – allowing us to escape from ordo-liberalism are necessary and possible in all parts of the world, North and South. The crisis of capitalism created a breeding ground for the maturation of revolutionary circumstances. I express this requirement that is objective, necessary and possible, in a short sentence: “escape from the crisis of capitalism or escape from capitalism in crisis?” (The title of one of my recent books). Escaping the crisis is not our problem, it is that of the capitalist rulers. Whether they succeed (and in my opinion they are not engaged in ways that would allow it) or not is not our problem. What have we to gain by partnering with our adversaries to revive broken-down ordo-liberalism? This crisis created opportunities for consistent advances, more or less bold, provided that the fighting movements adopt goal-led strategies. The affirmation of national sovereignty is then required to enable these advances that are necessarily uneven from one country to another, but always in conflict with the logic of ordo-liberalism. The sovereign national project that is popular, social and democratic proposed in this paper is designed with this in mind. The concept of sovereignty implemented here is not that of bourgeois-capitalist sovereignty; it differs from it and for this reason must be qualified as popular sovereignty. The confusion between these two contradictory concepts, and from there the rapid rejection of any “nationalism” without more precision, destroys any possibility of escaping ordo-liberalism. Unfortunately in Europe – and beyond – the contemporary left engaged in struggles often practices this amalgam. Defending national sovereignty does not mean simply to want “another, multipolar globalisation” (in counterpoint to the current model of globalisation), based on the idea that international order must be negotiated among sovereign national partners, equal in rights, and not unilaterally imposed by the powerful – the imperialist triad, United States at the head – as it is in ordo-liberalism. Still we have to answer the question: why a multipolar world? Because it can be designed as still governed by the competition between systems accepting ordo-liberalism; or, in counterpoint, as an opening frame giving leeway to people who want to escape this ordo-liberalism. We must therefore specify the nature of the objective pursued under the proposed multi-polar system. As always in history a national project can be hybrid, crossed with contradictions between trends therein deployed, some in favour of a capitalist nation and others who give themselves other goals beyond their progressive social content. China’s sovereign project provides a good example; semi sovereign projects in India and Brazil (before the rightist coup) provide others. Although the collapse of the European project (and in particular the subsystem of the Euro) has already been underway for years (Ref. Samir Amin, The implosion of contemporary capitalism), Brexit evidently constitutes a major expression of it. The European project was conceived from the outset in 1957 as an instrument implemented by the partners’ – France and Germany in particular – capitalist monopolies with the support of the United States, to defuse the risk of socialist, radical or moderate take-overs. The Rome treaty, by signing in stone the sanctity of private property, outlawed any aspiration to socialism, as Giscard d’Estaing said at the time. Subsequently and gradually this character was reinforced by European building up, a reinforced concrete one since the Maastricht and Lisbon treaties. The argument orchestrated by propaganda for the acceptance of the project was that it finally abolished the national sovereignty of the states of the Union, these sovereignties (in their bourgeois/imperialist form) that had been at the origin of the unprecedented massacres of the two great wars of the twentieth century. Therefore this project has received a favourable response from the younger generations, by dangling a democratic and pacifist European sovereignty, taking the place of the war-mongering national sovereignties of the past. In fact sovereignty of States was never abolished, but mobilised to accept ordo-liberalism, and become the necessary framework to ensure to now financialised monopolies the monopoly of the economic, social and political management of European societies; and that whatever the possible developments of opinions. The European project is based on an absolute denial of democracy (understood as the exercise of choice between alternative social projects) that goes well beyond the “democratic deficit” argued against the Brussels bureaucracy. It has given repeated evidence; and has de facto annihilated the credibilityof elections whose results are legitimate only insofar as they comply with the requirements of ordo-liberalism. Germany has been able, in the context of this European construction, to assert its hegemony. Thus German (bourgeois/capitalist) sovereignty was erected as a substitute for a nonexistent European sovereignty. European partners are invited to align with the requirements of this sovereignty superior to that of others. Europe has become the German Europe, particularly in the Eurozone where Berlin manages the finances with preferential benefit to the German Konzerns. Important politicians like Finance Minister Schäuble, indulge in a permanent blackmail and threaten the European partners with a “German exit” (Gexit) in case they call into question Berlins hegemony. It should not be avoided to conclude from the obvious facts: the German model poisons Europe, Germany included. Ordo-liberalism is the source of the persistent stagnation of the continent, coupled with ongoing austerity policies. So ordo-liberalism is an irrational system when it is in the perspective of protecting the interests of popular majorities in all EU countries, including Germany, as in the prospect of long-term defence of ecological conditions of reproduction of economic and social life. Furthermore ordo-liberalism leads to endless aggravation of inequality between partners; it is the origin of the trade surpluses of Germany and symmetrical deficits of others. But ordo-liberalism is a perfectly rational option from the perspective of financial monopolies of which it ensures the continued growth of their monopoly rents. This system is not viable. Not because it faces the growing resistance of its victims (ineffective to date), but because of its own internal contradiction: the growth of rent monopolies impose stagnation and the continually worsened status of fragile partners (Greece and others). The captain at the helm is leading the European ship straight towards visible reefs. Passengers implore him to change course; to no avail. The captain, protected by a praetorian guard (Brussels, ECB) remains invulnerable. It only remains to throw the life boats out to sea. It is certainly dangerous, but a lesser danger than the certain shipwreck in sight. The image will help to understand the nature of the two options between which the critics of the European system in place are hesitant to choose. Some argue that we must stay on board; evolve the European construction in new directions, respecting the interests of popular majorities.They persist despite the repeated failures of the struggles involved in this strategy. Others call to leave the ship, as evidenced by the choice of the English. Leaving Europe; but for what? Disinformation campaigns orchestrated by the media clergy in the service of ordo-liberalism contribute to scrambling the cards. An amalgam is maintained between all possible forms of use of national sovereignty, all presented as demagogic, “populist”, unrealistic, chauvinistic, out-of-date, nauseating. The public is pummeled by the discourse on security and immigration, while highlighting the responsibilities of ordo-liberalism in worsening conditions of workers is avoided. Unfortunately whole segments of the left involve themselves with this game. For my part, I say that there is nothing to expect from the European project, which can not be transformed from within; we must deconstruct and eventually rebuild later from different foundations. Because they refuse to reach this conclusion, many of the movements in conflict with ordo-liberalism remain hesitant regarding the strategic objectives of their struggles: to leave Europe or remain in it (and keep the Euro or not)? In these circumstances the arguments raised by both sides are different in the extreme, often on trivial issues, sometimes about false issues orchestrated by the media (security, immigrants), resulting in nauseous choices, rarely about the real challenges. An exit from NATO for example, is rarely invoked. Nevertheless, the rising tide that is expressed in the rejection of Europe (like with Brexit) reflects the destruction of illusions about the possibility of reform. Nevertheless, confusion scares. Great Britain certainly did not intend to implement its sovereignty to engage in a way that deviates from ordo-liberalism. Rather London wants to further open towards the US (Great Britain does not retain the reluctance of some Europeans towards the transatlantic free trade agreement), the Commonwealth countries and the emerging countries of the South, replacing the European priority. Nothing else; and certainly not a better social program. In addition for the British, German hegemony is less acceptable than it appears to be for others, in France and Italy. National sovereignty is the indispensable instrument of social improvements and progress of democratisation, in the North as in the South of the planet. These advances are controlled by a logic that lies beyond capitalism, in a favourable prospect for the emergence of a polycentric world and consolidation of internationalism of peoples. (i) engage itself in the construction of a self-centered and integrated industrial system in which the different branches of production become suppliers and outlets of each other. Ordo-liberalism does not allow this construction. It indeed conceives “competitiveness” as that of each industrial establishment considered by itself. The implementation of this principle then gives priority to exports and reduced the industries of the Southern countries to the status of subcontractors dominated by monopolies of the imperialist centres, which appropriate by this means a large part of the value created there and transform it into imperialist monopoly rent. In counterpoint the construction of an industrial system requires planning of state and national ownership of currency, the tax system, and foreign trade. (ii) engage in an original way in renovation of peasant agriculture, based on the principle that agricultural land is a common good of the nation, managed in a way that secures access to land and the means of exploiting it to all farming families. Projects must be designed on this basis for the growth of output per family/hectare, and priority industries put in place to allow this. The objective of this strategy is to ensure the nation’s food sovereignty and control migratory flows from the countryside to the cities, to adjust the pace to the growth of urban employment. The articulation of progress on each of these two fields is the main focus of state policies that guarantee the consolidation of “worker and peasant” broad popular alliances. This creates a favourable terrain for the advances of participatory democracy. In the Northern countries popular sovereignty must also break with ordo-liberalism, implying here bold policies up to the nationalisation of monopolies and the initiation of means of socialisation of their management.This obviously implies the national management of the control of money, credit, taxation, and foreign trade. The imperialist system in place implements a differentiated range of ways in which it has dominion over the nations of the peripheries of the global system and their exploitation. In the advanced countries of the South in the industrialisation segments of the outsourced global system, controlled by the capital of financialised monopolies of the imperialist triad (United States, Western and Central Europe, Japan), reduced to the status of subcontractors, offer major means by which a growing mass of the value generated in the dependent local economies is converted into imperialist monopoly rent. In many developing countries, operating modes also take the form of brutal plunder of natural resources (oil, minerals, agricultural land, water and sunlight) on the one hand, that of the implementation of financial raids which seize the national savings of the countries in question. The constraint of ensuring priority in the service of external debt is the means by which these raids operate. The structural deficit of public finances in these countries creates an opportunity for imperialist monopolies to place profitably their growing financial surpluses generated by the crisis of the globalised and financialised imperialist system by forcing developing countries into debt in leonine conditions.Financial raiding also exercises its destructive effects in the imperialist centres. The continued growth of the volume of public debt relative to GDP is actively sought and supported by national and international financial capital to which it allows fruitful investment of surpluses. The public debt owed to private financial market provides the opportunity of a drain imposed on the incomes of workers, allowing the growth of rent monopolies. Thus fueling the continued growth of inequality in the distribution of income and wealth. The official discourse that claims to implement policies to reduce the debt is completely false: their goal is actually to increase rather than reduce the debt. Neoliberal globalisation continues a massive attack against peasant agriculture in Asia, Africa and Latin America. Accepting this major component of globalisation led to the enormous poverty/exclusion of hundreds of millions of people on three continents. It would actually stop any attempt of our societies to succeed in the global society of nations. Modern capitalist agriculture, represented by both rich family farming and/or by agribusiness companies, seeks to massively attack global peasant production. Capitalist agriculture governed by the principle of profitability of capital located in North America, Europe, Southern Cone of Latin America and Australia, employs only a few tens of millions of farmers, so that it has the highest global productivity; while peasant farming systems still occupy nearly half of humanity – three billion people. What would happen if “agriculture and food production” were treated like any other form of capitalist production, subject to the rules of competition in a deregulated open market? Would these principles facilitate the acceleration of production? Indeed, one can imagine fifty million new additional modern farmers, producing what the three billion farmers present on the market can offer in addition to their own (and low) subsistence. Conditions for success of such an alternative would require significant transfers of arable land to new farmers (lands taken from those currently occupied by peasant societies), access to capital markets (to buy equipment) and access to consumer markets. These farmers would compete easily with the billions of existing farmers. And what would happen to them? Billions of noncompetitive producers would be eliminated in a short historical period of a few decades. The main argument for the legitimisation of the “competitive” alternative is that this kind of development took place in Europe in the nineteenth century and contributed to the formation of rich industrial then postindustrial urban societies able to feed the nation and even to export surplus food. Why not repeat this model in the countries of the third world today? No, because this argument ignores two key factors that today make a reproduction of the model impossible in third world countries. The first is that the European model developed for a century and a half with intensive labour industrial technologies. Contemporary technologies are much less. And therefore, if the newcomers of the third world are to be competitive in world markets for their industrial exports, they must adopt these technologies. The second is that in the process of this long transition., Europe could massively emigrate its surplus population to the Americas. Can we imagine other alternatives based on access to land for all local inhabitants? In this context it is implied that peasant agriculture must be maintained and simultaneously engaged in a process of change and continuous technological and social progress. And this at a pace that would allow a progressive transfer to non-agricultural employment along with the development of the system. Such a strategic goal involves policies protecting peasant food production from the unequal competition of modernized national agriculture and international agribusiness. It challenges industrial and urban development models – which should be less based on exports and low wages (which in turn imply low food prices) and give more attention to the expansion of a market socially balanced inside. In addition such a strategy would facilitate the integration in all policies that ensure national food sovereignty, an essential condition for a country to be an active member of the international community, strengthening its necessary degree of autonomy and capacity for negotiation. For brevity I have not addressed here any adjacent major issues: the emergence of capitalism of generalised monopolies, the new generalised proletarianisation, the militarisation of globalisation and conflicts over access to natural resources, the financial globalisation as the weak link of the system, reconstruction of solidarity among developing countries, the strategy of ongoing struggles, the requirements of anti imperialist internationalism of peoples. I refer the reader to my book L’implosion du capitalisme contemporain (The implosion of contemporary capitalism) and draw attention to the institutional structures that I have proposed to consolidate popular content management of the transition of the economy beyond capitalism (pages 123-128 of the cited book).